Exclusive formula based HENNA NATURAL ORIGINAL renowned for its exceptional properties of the beauty of the hair and scalp care. 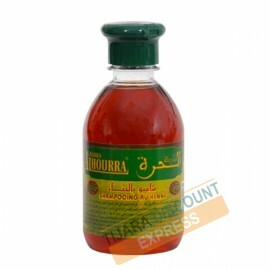 Henna is a natural product both invigorating, soothing, antiseptic and antiseborrheic. It fights dandruff and scalp care. It is suitable for all hair types, including fat, damaged and brittle. It gives your hair shine, vitality and natural beauty.